Is plant-based protein the key to feed the world’s growing population or a costly and unscalable substitute for animal protein? It’s potato, potahto, tomato, tomahto to me. 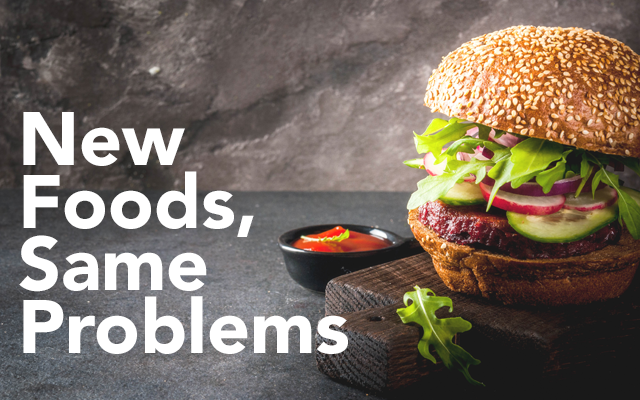 We can all agree that 1) the world’s population is growing, 2) this growing population will want more protein in their diet, 3) food waste and distribution is as much as an issue for plant-based proteins as it is for animal-based proteins. Our main challenge isn’t producing more, but wasting less and moving food more efficiently around the globe. The world’s population will increase by an astounding 4 billion inhabitants between now and 2100 according to the UN. Most of this growth is taking place in developing nations: with India projected to surpass China in the not-too-distance future. As income rises in these countries, animal and plant-based proteins – driven by a desire for greater health, nutrition, and even status – will become a more significant part of their national diet. This trend represents a big opportunity for Western consumer food brands. When I met with food companies and investment funds in China last month, it quickly became evident that there is a gargantuan and coordinated effort to import consumer food brands geared toward nutrition, wellness and convenience. The movement is afoot in India too. Yet this opportunity is not accessible to all Western food products. Many Asian countries lack essential cold chain infrastructure, storage and providers in a multi-stage distribution system. The last mile is especially problematic because rather than supplying products to a supermarket, Asia reaches the consumer through micro-retailers. Many of these mini-markets lack freezer or even refrigerated storage, or if they do, they may turn of the power at night to reduce their electric bill. This is a significant challenge for food companies entering these countries on the backs of the reputation of their well-developed brands. Whether it is plant-based protein or animal-based protein, or any other food for that matter, in order to tap into the growing Asian food market, food companies must focus on extending shelf life to limit waste and allow for cost effective distribution. Fresh foods limit shipping distances and require refrigeration; they spoil quickly and add substantively to food waste. Frozen foods are expensive to store for the processor, retailer and the consumer. I am impressed by the pace of investment taking place in India, China and other countries in the region. In many ways Asian food companies are leap frogging those of the developed world to deliver what customers want – health and wellness – to where they are, leveraging existing networks of convenience stores, food carts, online services and vending machines. Unencumbered by necessity, they are swiftly overcoming consumer perceptions and innovating delivery. To feed the world, we must focus on the distribution problem. Asia will lead us there. Earlier this month, Amazon announced its entrance into the pet food space with a private label brand suitably called Wag. Its initial offering is a line of dry dog food that centers on proteins like chicken, beef and salmon and excludes filler grains. If there is one industry in which money can be made it is pet foods. Americans will spend more than $72 billion on their pets in 2018 and nearly half that will go toward pet foods, according to the American Pet Products Association (1). Ecommerce is a significant driving force behind the growth in the pet products and food categories. The growth in this segment outpaces general online retail by 380% (2). With that kind of runway, it is not surprising that Amazon is entering the space with its own pet brand. Amazon’s sales in the pet categories were $2 billion in 2017 according to industry reports, up 40% over 2016. Competitors should be afraid. Behind the flurry of activity in the pet food space is a growing concern over the quality of packaged pet food. Many owners view their pets as family members who often eat alongside their human families. As long as pet parents are making healthy choices for themselves, they want the same for their pets. Nutrition, natural ingredients and safety have become key demands. This humanization of pets is now driving significant investment in a new category of wet pet food that stands in stark contrast to the kibble class, which usually contains loads of fillers and low quality proteins. The new category of wet pet foods has higher nutritional content, quality proteins, natural ingredients and no filler grains. Almost as important, it looks and smells like human food, so that human companions don’t gag when opening the packages . Freshpets, NomNomNow and The Farmers’s Dog are among the new companies occupying the premium pet food space, offering fresh or frozen pet foods that are stored in the family fridge and sometimes even delivered via subscriptions, just like meal kits for humans. Large players have their sight on the segment too. In late April, General Mills acquired Blue Buffalo Pet Products, a leader in the natural pet food segment, paying 6 times net sales for a whopping $8 billion in cash. As new entrants work to scale their fresh and frozen pet food operations, established players can’t afford to sit back and watch. The time is now for acquiring a bigger stake in this growing segment. Transporting, storing and retailing premium fresh and frozen pet foods come with a higher price tag because these products rely on the same costly cold chain consumer foods rely on. Despite its distribution advantage, dry kibble can never aspire to a better-for-your-pet food, even with improved ingredients. Existing wet foods packed in cans and pouches offer higher palatability and some times higher quality ingredients than kibble, but by virtue of current processing methods, they still fall short of the human-like food goal. The winner-takes-all product in the new pet food space will combine the fresh prepared quality and appeal of human food with the distribution and retailing advantages of the shelf-stable format for a variety of retail, including most vitally, ecommerce. At the Future Food Tech conference in San Francisco late March, the breakout topic of discussion was the personalized nutrition trend. Startups such as Habit, 3TandAi and big food companies alike (Campbell Soup, Nestle placing bets on personalized nutrition) called it the “Next Big Opportunity.” I was part of a panel on ingredient reformulation that inescapably led to a confab about personalized nutrition. We agreed that consumers are increasingly turning to individually tailored diets and that the food industry needs to invest in scalable food delivery solutions. A growing number of tech startups are working on biosensors, wearables, biomarkers in DNA analysis, and other mechanisms to collect personal insights to match you to your perfect diet. Habit collects DNA and blood samples while testing one’s response to a formulated smoothie in order to match you to one of seven main diet categories like “protein seeker” or “fat seeker.” Habit has developed more than 5,000 recipe recommendations based on these categories. We know by now that diet is not one-size fits all. Habit’s simplification efforts are understandable given the constraints of prevailing food formats, but personalized nutrition is not a 5,000-fits-seven problem either. Personalization means matching food to multifaceted individuals with needs that change over time. Add to biological preferences other drivers such as disease prevention, disorders, religious restrictions, familial structure, and one’s lifestyle and the inventory of recipe recommendations would need to grow exponentially. It would be unworkable for a company to provide such a variety of product with fresh foods. It is difficult to predict ingredient inventory levels. Fresh foods spoil quickly. It would require an army of chefs and assemblers to create personalized orders in a timely fashion even if they worked from an inventory of recipes. It is no wonder that Habit stopped its fresh meal delivery service in San Francisco late last year after a brief trial run. The fresh model is not scalable. In the vacuum of personalized meal delivery, sending individuals out on their own to wade through the store to analyze nutritional labels and match them to a recommended diet plan is a fool’s errand. Only the most disciplined will succeed. Most of us are too busy and scattered in our lives to manage such a complex task. The right food choices must be accessible to consumers in handy packages. The convenience nudges us into making the right choices. Consider an approach in which we destruct meals into shelf-stable meal parts or components. Typical meals are made up of proteins, starches, and vegetables. Within Habit’s 5,000 recommended recipes there are likely multiple applications of such items as salmon filets, rice pilaf and steamed broccoli—each are individual meal components that could suit a variety of dietary plans. Under this approach, Habit customers, with guidance from their nutritionist, would pick from an inventory of ready-to-eat meal and meal components, along with sauces, snacks and desserts, each prepared in advance by food industry collaborators. Habit could then deliver personalization as a fulfillment task, much like an Amazon fulfillment center does. Customers would be able to conveniently and at a moment’s notice combine nutritionist-recommended components in countless ways to personalize meals for themselves and other family members. To create such inventory of healthy, nutritious shelf-stable foods, it will require collaboration between companies such as Habit, food producers, and enabling process technologies. Personalized nutrition is the kind of issue that can move the industry to a revolution in the way we prepare, process and distribute healthy food. It can force old models to shift towards new cost-effective delivery structures that best serve the nutritional needs of consumers. A new trends report published by Michael Vidikan at Future in Focus on ready-to-eat foods highlights microwave assisted thermal sterilization (MATS™) as an innovative technology that will help meet global demand for convenient foods that are also healthy and delicious. Future in Focus is a division of the Cognis Group (http://www.cognisgroup.com), an international innovation consulting company specializing in all facets of intellectual property, commercialization, and foresight research. Michael leads a team of futurists who identify emerging consumer & technology trends and future growth opportunities to help guide corporate strategy. A Fork in the Road: What’s the Best Way to Produce and Distribute Personalized Nutrition? The personalization of nutrition—matching the food we eat to our own biology and personal goals—is arguably one of the most exciting trends in food today. Increasing the availability of foods that are tailored to individual biology, metabolism and specific diet types could help reverse soaring rates of obesity, diabetes and cardiovascular disease, all of which are associated with unhealthy diets. 915 Labs VP Roberta Brewster joined executives from Kerry Foods, Campbell’s and Dow AgriSciences at last month’s Future Food Tech (FFT), conference in San Francisco to discuss the opportunities and challenges of delivering food tailored to individual biology, metabolism and specific diet types. The way CPGs have historically produced and delivered food in large mass-produced quantities isn’t a good match for personalized nutrition. The alternatives are equally flawed: going fresh results in high spoilage rates and distributing frozen is both costly and limited by freezer space at every point in the supply chain, including the consumer’s refrigerator. The 915 Labs MATS technology is emerging along with personalized nutrition and plant-based meat alternatives as major disrupters of the global food ecosystem. 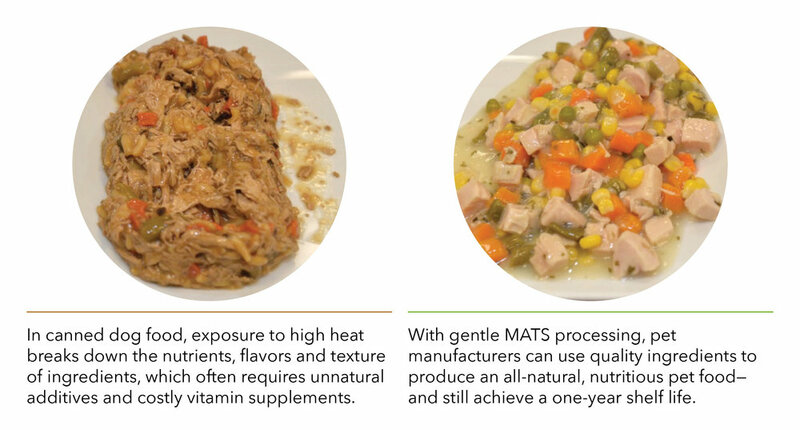 MATS gives food producers a healthier way of preserving virtually all types of great food, from meats and seafood to vegetables, grains and whole meals, with extended shelf life. The technology retains nutrients, texture and taste and keeps additives and extra sodium out, which makes it a perfect match for personalized nutrition. We’ll continue the conversation on personalized nutrition at FFT NYC in June. In the meantime, reach out to us to learn more about how MATS is revolutionizing packaged food. 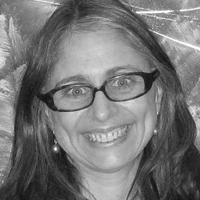 Next week I will be attending the Future Food Tech (futurefoodtechsf.com) gathering in San Francisco where the focus will likely be on meatless-meat products and plant-based solutions. According to recent news, the market is embarking on a modern day food science revolution for meat alternatives. Industry leaders tout it as the hottest trend for 2018. Recent investments by Cargill, Tyson, Nestle, Richard Branson and Bill Gates in Memphis Meats, Impossible Foods, Beyond Meat and Sweet Earth confirm that start-ups and big food alike are betting on this segment. Plant-based and meat alternatives are the type of transformative ventures that captivates Silicon Valley. Reducing our dependence on resource-intensive animal products is the kind of problem that puts technology at the center of the solution, It also shoots for lofty goals: feeding the hungry, curbing emissions, and saving the planet. Josh Tetrick of Just (previously Hampton Creek) told Fast Company in 2016 that his company’s mission was to “re-think the entire food chain”. I share his goal but take a different view: over-emphasizing formulation is shortsighted. After all, distribution is at the heart of the food chain. It is the means of getting food from the farm or processing plant directly to the consumer or to a food service facility—restaurants, cafeterias and hospitals. The biggest gains in feeding the hungry, improving food security, curbing greenhouse emissions and ultimately saving the planet will come from solving food distribution challenges. Flash freezing, fuel-efficient vehicles and AI logistics are but a few of the technological advancements streamlining food distribution. Distribution is ultimately restrained by the food preservation method used. Solving for food preservation is, in my view, the key to transforming the entire food chain. New delivery vehicles have emerged for fresh food and new technologies have emerged to improve pasteurization and freezing processes to extend shelf life. However, these unsophisticated processes further burden distribution, especially now with growth in direct-to-consumer delivery. Fresh foods limit shipping distances and require refrigeration. They spoil quickly and add substantively to food waste and greenhouse gas emissions. Frozen foods are expensive to store for the processor, retailer and the consumer. In many parts of the developing world, cold chains are practically non-existent, limiting the reach of these formats. The prevalent method of preserving foods for the shelf—or those that do not require refrigeration—has barely changed since it was introduced during the Napoleonic Wars. This two century-old method of preserving food, called retort or canning, cooks food for long periods of time, stripping flavor, texture and most importantly nutrients in the process. Although retort produces generally safe foodstuffs with shelf life of a year or more, it is a flawed method for feeding the world, even if it is the most efficient and cost-effective way to store and distribute food. Groundbreaking plant based and alternative meat formulations will face the same conundrum every food manufacturer is up against: distribution constraints by virtue of the preservation method used. Choose fresh and you limit your distribution reach. Choose frozen and watch your distribution and storage costs increase significantly both for you and your customers. Neither format works for the new direct-to-consumer paradigm, limiting growth in a way that even big brands cannot surmount. Neither format does much for the earth. Go with retort and you will ruin your product’s clean formulation and end up with the same packaged foods now languishing in the center aisle of the grocery store. Preservation is the Achilles heel of the food industry for old food and new. It is the type of deep-rooted problem that can only be solved with technology advancement. More investment in tech solutions for food preservation is needed to affect distribution in a way that truly transforms the entire food chain and solves world problems. It is exactly the type of rip-it and start again undertaking that should capture the interest of Silicon Valley. In late October, I was privileged to deliver a keynote to a Future Food Tech conference of food industry executives and investors in London. In “Feeding the 99 Percent,” I challenged the audience to consider the one in seven people worldwide do not get enough to eat today and the billions more who are malnourished. How will we feed a population estimated to be 9 billion by 2030 when so many consumers around the globe today do not have access to or can't afford healthy food? With epidemic rates of obesity and associated disease, exorbitant food waste and an evolving retail landscape, the food industry is at a crossroads. Fresh and frozen foods offer indisputable nutritional value, but come with high distribution costs and significant waste. Packaged food is much more sustainable option, but it must evolve beyond the unhealthy and over-processed options that populate the category today. A wholesale change in the way we process food is long overdue. Read the keynote “Feeding the 99 Percent” here. Does a 30 percent drop in share price since going public on June 28th mean an IPO was overvalued or market conditions have suddenly changed? In the case of Blue Apron, probably both factors lead to the haircut in value. The opening share price was already a third less than Blue Apron initially hoped to get. Amazon's industry-changing deal to buy Whole Foods weighed heavily on the sector, mostly because Amazon offered very little strategic vision for the deal. Like a Rorschach business case, Amazon watchers have been left to provide their own interpretation of the deal…leading to uncertainty. Causing more turbulence in the meal-kit market, this week Amazon filed a ‘meal kit’ trademark further treading on Blue Apron’s turf. Amazon is only partly to blame for spoiling the Blue Apron IPO. Meal kit providers are founded on the premise that customers want the convenience of fresh ingredients delivered to their door and the gratification of preparing their own meal at home. As it turns out, ordering meal kits is much like making a New Year’s resolution. Customers start off with the best of intentions to eat healthy and expand their cooking skills but their commitment fizzles as soon as the discounted subscription period ends. Within six months, the majority customers have walked away. One of the biggest hurdles for meal kit companies is shipping costs. The delivery of fresh food requires extra packaging to keep it chilled and short delivery windows to reach consumers without spoilage. The minimum plan offered by Blue Apron consists of three meals per week for two people and costs $60 per week. Presumably, any order smaller than 6 meals would break the company’s $10 per meal price threshold. Even among the customers who can afford meal kit delivery, that price is a sticking point. Consumers also complain about the volume of packaging and the inconvenience of having to receive deliveries, most of which occur on preset days of the week. Cancellations must be made several days in advance. After stumbling home at 8 pm after a long day at work and collecting the kids from soccer practice, the last thing most of us want to do is spend an hour making dinner. In a perfect world, healthy dinner options would be readily available and meal prep would relieve the day's stress, not cause it. Many meal kit customers find that the cooking process is more complicated and takes longer than advertised. Incorporating prepared, shelf-stable components into meal kits is a great way to tweak the meal kit business model. Complementing fresh ingredients with pre-roasted vegetables, prepared sweet potato hash or wild rice is a way meal delivery services could speed up meal prep. Packaged sides and even main entrees are much cheaper to ship, require less packaging and can be stored in the pantry instead of the refrigerator. By being less reliant on fresh ingredients and including more packaged foods, Blue Apron could boost its margins by reducing the nearly 30 percent food wastage they currently experience. For the customer, an assortment of packaged food components means greater choice of meals that they can pull together on any given night. Focusing on the customer and their need for convenience will lead meal kit companies away from the cooking experience and toward meal assembly. When you can have chef quality shrimp coconut & lemongrass wonton noodles on your table in less than 10 minutes, it will be hard to go back to making it from scratch. With people growing weary of meal delivery kits, Blue Apron and similar services in this space must tackle the customer convenience challenge and tap into the modern consumer’s desire for meal customization. Chef-quality, nutritious, prepared meal components delivered to your door with an extended shelf life are the best way to do that. By announcing the acquisition of Whole Foods, Amazon just spat sustainably sourced, organic sweet potato puree in the face of the industry. The food fight is on! As the dominant force in online sales and delivery, it would appear that Amazon is pre-destined to win the battle for grocery sales. The industry is reacting as if it is fait accompli. But I believe the fight over online grocery sales is just beginning, and in the final round, it will be structural distribution advantages that determine the winner. Here’s why. The everything-store wants you to buy your fresh foods and produce online, along with everything else. The Whole Foods acquisition gives Amazon 450 new fulfillment centers, mostly in large metropolitan areas, for fresh foods and produce—both of which spoil quickly and require fast and cheap delivery. Because this category is also plagued by low margins, little to no differentiation amongst products and high costs for shipping due to the extra packaging required to keep food chilled, closeness to customers is an advantage. Compare Whole Foods’ 450 stores to Walmart’s decentralized network of more than 4,500 retail locations, which puts a Walmart within 10 miles of 90 percent of the US population. Safeway, Kroger and other national grocers have thousands of retail locations from which fresh foods and produce can also be delivered quickly to customers. And it won’t stop there: discount European chains Aldi and Lidl plan to quickly add more than 1,000 stores each them in the US over the next 5 years and scores of meal kit delivery providers are currently duking it out to replace grocery shopping a few meals at a time. The fresh food segment is both crowded and highly competitive, and established retailers with deep pockets are slashing prices to keep competitors out. In order to win in this category, Amazon will have to lower Whole Food’s notoriously high prices, streamline operations and expand the retail footprint—and all in the name of market share, not profits. It’s a tall order, and one that distracts from the real prize in online grocery sales. With its highly effective centralized distribution infrastructure already in place, Amazon would be better off skipping the fresh craze and doubling down on the delivery of non-perishable and shelf-stable foods. In this segment, Amazon has the structural cost advantage to come out on top in this food fight. Amazon should let the rest of the market worry about produce. The majority of customers will continue to patronize local retailers or farmer’s market for fresh foods where they can touch and pick their own produce. But they’re also more than happy to get everything else delivered to their door in a great big box with a smile on it. I spent the first half of my career in the dynamic, disruptive and often volatile telecom and renewable energies industries, where emerging technologies, new regulations and rapidly evolving consumer use kept product development moving apace. Enormous media and telecom companies are accustomed to reinventing themselves in a continuous cycle of innovation. As consumers demand new flavors, healthier options and more control over how their food is made and delivered, true innovation is occurring among small, niche companies feverishly working to expand markets and scale operations. Meanwhile, the big brands are struggling for the hearts and minds of these consumers. Faced with falling revenues and severe budget cuts, embattled CPGs are innovating primarily by acquiring new brands. As R&D departments perform due diligence for their corporate venture arms, internal innovation cycles lengthen. On the innovative edge, small- and medium-size food companies have few options for expanding distribution of new product lines. Co-manufacturers, who typically operate on a fully depreciated manufacturing base, have little incentive to accommodate the specialized ingredients and natural processes required for new food brands. Unable to scale up using costly chilled and frozen distribution channels, food innovators become Big Food acquisition targets. Once assimilated into established food companies, new food brands hoping for a growth platform quickly lose their innovative edge. Valuations for new brand acquisitions are at all time highs. Meanwhile, the industry is scraping the barrel on operational efficiencies and prices don’t have much further to fall. Marketing spins won’t be able to improve sales much longer. While consolidation in the industry is likely to continue in the next few months, Big Food seems poised to emerge from zero-based budgeting. Demands for clean, nutritious foods and supply chain transparency will only become louder. Ecommerce and convenience retail channels will grow exponentially, applying tremendous pressure for new and improved distribution channels. These market pressures cannot be ignored by CPGs. It will require disruptive innovation to deliver both what consumers want and what food companies need to succeed in a challenging environment in desperate need of a breakthrough. Innovation is the future of our business. Can I have your attention for 90 seconds? Now in my third year at the head of 915 Labs, I’d like to think I’ve perfected my elevator speech. Yet it continues to be a challenge to quickly explain our company’s mission and the technology at the core of our startup without diving into a short history of food processing or our hopes for creating a more sustainable food ecosystem. ‘Microwave assisted thermal sterilization’ is itself a mouthful—which is why we simply call it MATS. There’s so much behind those four letters: from the industry-government-academic partnership that funded the 10-year development of the technology, to how MATS changes the way food has been processed for more than a century, to its potential for improving the quality of packaged foods. You see my dilemma. So instead of telling, we’ve decided to show you. I hope you’ll watch our new video on MATS and perhaps share it with a colleague (or two). If a picture’s worth 1,000 words, this video gives us a few million, which should be more than enough to convey our excitement about the game-changing technology we call MATS. As CEO of 915 Labs and a member of the board at Hunger Free Colorado, I get to do two things I love: drive innovation in the food industry and help to improve childhood nutrition. Since we can all use some good news as 2016 comes to a close, I want to share this great accomplishment: Colorado is now ranked 11th in the nation in terms of participation in the federally funded School Breakfast Program among low-income students, up from 44th place in 2009. This means more children who qualify have access to a no-cost wholesome breakfast at school before the school day begins. Even better, the meal is often served in the classroom, which is less time-consuming for teachers and reduces the stigma associated with free meal programs. I’m proud to say Hunger Free Colorado was a driving force behind the state legislation that passed with bipartisan support in 2013, which ensures more schools offer this effective means of addressing child hunger. No one should start their day hungry, least of all children, who need fuel for learning and growing. You can find more information on this program and donate to the good work of Hunger Free Colorado here. Happy holidays from all of us at 915 Labs. News reports over the last few days are lauding big food makers for reducing the number of ingredients in their products. We too appreciate any effort that results in a cleaner label. But I agree with award-winning journalist and author Michael Moss that a clean label is just half the battle. What’s equally important is how healthy and nutritious your key ingredients are. The beauty of 915 Labs microwave processing technology is its light touch: it doesn’t strip the nutrients from the naturally healthy ingredients you start with. By using a combination of a hot water bath and microwaves, foods processed in our systems reach sterilization or pasteurization temperatures very rapidly, which eliminates the heat damage that occurs with traditional sterilization, or retort, and the need for excessive amounts of salt and other additives to compensate for that damage. Marcus Brody, Food Scientist at Covance Food Solutions, dishes up the vegetarian moussaka he made and had microwave processed at the 915 Labs MATS Boot Camp. This past week, I watched food researchers and product developers from U.S., Thailand and New Zealand food companies test out recipes on our pilot scale microwave sterilization system. Using healthy ingredients like salmon filets, fresh eggplant, carrots and other vegetables and natural seasonings, they prepared a variety of foods and then following microwave processing, submitted each to a taste test. The food execs were impressed with the taste, texture and flavor of their dishes including salmon filets paired with compound butter and herbs, vegetarian moussaka with tomato and béchamel sauces and abalone fish in oyster sauce. They left enthused about the possibilities our new technology offers the world of packaged foods. Food companies are working hard to respond to consumer demands for fewer additives and more recognizable ingredients in our food. But to make high quality packaged food, we have to do more than just get rid of the junk — we also have to start with healthful ingredients and process them in a way that doesn’t significantly reduce their nutritional value. At 915 Labs, we plan to be part of that transformation. 915 Labs is proud to announce that we have become an industry member of the Institute for Food Safety and Health (IFSH), which houses four important centers dedicated to advancing food safety, processing innovation and nutrition research. IFSH is housed within the Moffett Campus of the Illinois Institute of Technology (IIT) a multi-building complex that offers state-of-the-art food processing technologies, synergistic research and a scientific brain trust. Our IFSH membership will give 915 Labs the unique opportunity to work collaboratively with dozens of industry partners, the U.S. Food and Drug Administration Division of Food Processing Science & Technology (DFPST) and academic researchers focused on the application and advancement of food safety and nutrition technologies. Through IFSH, we plan to continue to broaden the exposure and application of MATS and MAPS within the food industry and incorporate our microwave technologies into new and existing research programs and industry training events. In addition, the Center for Nutrition Research and Center for Process Innovation within IFSH offers a great opportunity to conduct cross comparative nutrition and processing research within the preservation arena. At 915 Labs, we strongly believe that our IFSH membership will be a wonderful opportunity to proactively collaborate with all organizations dedicated to developing and applying the next generation of food safety knowledge and technology. In conjunction with our foundational partnership with Washington State University and the newly named NIFA Center of Excellence on Food Safety Processing, we have a robust platform for integrating MATS and MAPS into a wide range of ongoing industry research and training. In his beautifully produced Netflix documentary series “Cooked,” Michael Pollan exhorts us to get back into the kitchen and rekindle the tradition humans have enjoyed for millenia of creating nutritious meals from fresh ingredients. Doing so will not only help combat increasing rates of diabetes and obesity, he says, it will also save culinary traditions quickly being lost. It’s a great suggestion for those who have the time, resources and interest in cooking. Unfortunately, fewer and fewer consumers are falling into that category. According to the Organisation for Economic Co-operation and Development, Americans spend the least amount of time cooking of any other population. Unfortunately, countries around the globe, particularly in the developing world, are following that trend: the second episode of Cooked includes a visit to India, where the convenience and aspirational appeal of fast food and processed food is rapidly catching on, much to the dismay of traditionalists and public health officials. To blame, says Pollan, are long workdays that leave no time for meal preparation, and cheap center-of-the store processed foods, engineered with high levels of fat and sugar. Many American consumers are cooking — just not from scratch — and would actually like to cook more, says the research firm The Hartman Group in Forbes, but time and money get in the way. Instead, they’re eating on the run and reaching for convenient snacks. The firm says food companies can meet the demand for convenient, nutritious food options by offering healthy ready-to-eat meals, and customizable products that can be eaten alone or mixed with other ingredients for variety or to create larger meals. Other opportunities include offering base ingredients, such as a grain or protein that can be complemented with vegetables and sauces and global cuisine featuring new and exciting ingredients. All of those options are possible with 915 Labs’ microwave sterilization and pasteurization technology (MATS™ and MAPS™), which allow food companies to produce convenient, natural, healthy foods that retain their nutrients, color, texture, and flavor, and eliminate the need for excess salt and unnatural additives. At our MATS Boot Camp, culinary experts and food companies from around the world have been using our pilot processing system to produce a whole new world of clean-label, healthy, safe and nutritious shelf stable foods that taste unlike anything on grocer shelves today, from gourmet soups to rice and pasta dishes to complete meals. As much as I hope Pollan can persuade modern consumers to cook from scratch more frequently, the reality is that we in the food industry need to meet time-crunched consumers in the middle. 915 Labs’ MATS and MAPS technologies give both health experts and consumers what they’re looking for: real food and convenience too. Cooked stills courtesy of Netflix. Undeterred, McGrath jumped online and found it was possible, with 915 Labs microwave assisted thermal sterilization (MATS) system — and within a few weeks he was in the United States, joining a few dozen food company and co-packer executives and culinary experts from around the world at the November MATS Boot Camp, 915 Labs’ five-day seminar on its microwave sterilization and pasteurization technologies. The course, hosted by Washington State University in Pullman, includes a primer on microwave technology and the science behind MATS and the Microwave Assisted Pasteurization System, (MAPS), as well as instruction on system operations and associated laboratory processes. Mid-week, the participants break into teams and plan dishes for MATS processing. After grocery shopping for fresh produce and other ingredients, they head back to the kitchen to begin cooking. At the November boot camp, teams prepared a variety of dishes, including bean and cheese enchiladas, Thai red curry with duck, seafood pasta and corn on the cob. Each was placed in a 10.5-ounce tray and processed in the pilot MATS system — making the dish commercially sterile and shelf-stable — and then nicely plated for taste testing. McGrath and teammate Beverly Swango, Director of Business Development at the co-packer Truitt Bros., prepared beef stroganoff, Italian white beans with spinach and chicken, and chicken with herbed rice and ancient grains. Beverly Swango, Director of Business Development, Truitt Bros.
Swango, a registered dietician who has worked for private companies, NASA and the U.S. Navy, attended the MATS Boot Camp to learn more about the opportunities available through MATS. With 25 years of experience designing food and systems for babies, pets, astronauts and the military, she was well-aware of the work of Juming Tang, Ph.D. — who led the development of MATS — and was anxious to see what the new technology could do. “I’ve done a lot of experimenting with retort,” she said. With the proper development and optimization, Swango said she believes MATS-processed dishes could be significantly better than retort. She was even more excited about the possibilities MAPS offers for pasteurizing fresh-plated, cafeteria-style foods. She also sees opportunities for MAPS to be used as a food safety intervention, or “kill step,” to improve the safety of batch ingredients served by restaurants, cafeterias and commissaries. “Food safety is a risk in freshly prepared refrigerated foods because there is typically no intervention step performed to ensure the food is safe,” said Raider. On the final day of the fall boot camp, the teams went back to the grocery store and selected a frozen entrée that most closely matched a dish they had created and held another taste testing. The verdict? “We’ll definitely be using MATS for our product,” said McGrath, who was impressed with MATS. “It improves on a lot of aspects of retort and I’m very excited about its impact on nutrition. MATS is really going to open up the market for improved shelf-stable foods. Spots for the next MATS Boot Camp, scheduled for March 15-19, 2016, are filling up quick. Contact kpetersen@915labs.com or call 855-915-MATS for more information. 915 Labs is proud to be sponsoring the Denver premiere of the award-winning food documentary "Just Eat It" as a benefit for the innovative food rescue organization We Don't Waste serving metro Denver. Equal parts education and delicious entertainment, the food documentary sheds light on the often overlooked issue of food waste. Reducing food waste and improving the sustainability of global food is at the core of the 915 Labs value proposition. Our patented processing method, microwave assisted thermal sterilization (MATS), not only promises to deliver healthier, higher quality and additive-free packaged foods, it will extend the reach of shelf-stable foods to underserved populations and provide farmers in remote areas with the ability to process fresh produce that might otherwise go to waste. Here in Denver, We Don't Waste is stemming the tide of food waste by recovering food from distributors, restaurants and caterers and delivering it to community-based agencies that serve vulnerable populations. I hope you'll consider joining 915 Labs for the Denver screening of "Just Eat It," an evening of fundraising for We Don't Waste. For details on sponsorship and tickets, visit www.JustEatItDenver.com.